I have been experimenting with the dehydrator and blending, mostly modestly sweet to savory things. Today’s raw food recipe is more about the sweet. 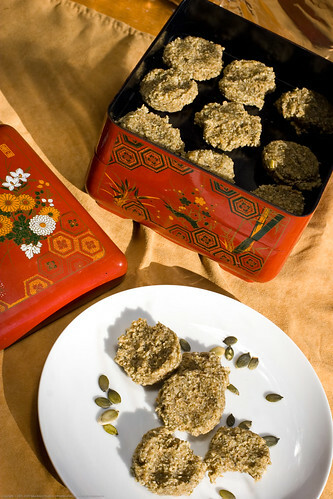 These date heavy cookies should not be eaten every day unless you are trying to gain weight. I suggest only making as much as you will eat over a few days so that you are not storing them for a long time. They retain quite a lot of moisture even after drying overnight. I prefer them this way so that they are not crumbly. I put them in the fridge to be extra sure. 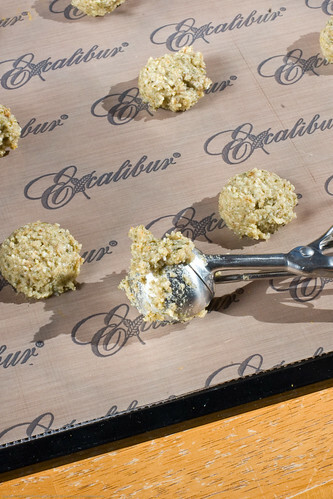 I really enjoyed these cookies, they pack in a lot of flavor and of course they are 100% nut free! 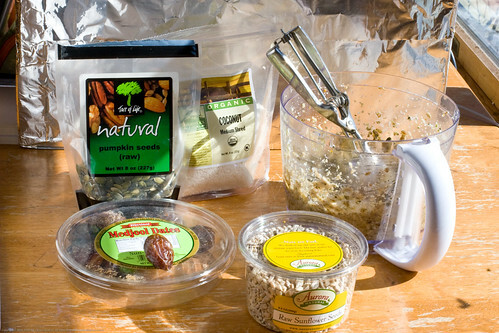 Add all ingredients to processor and blend until seeds have broken down and a dough is formed. Without enough of the coconut juice, the mix will just go around and around in the processor bowl. Adding just enough juice allows a dough to begin to form. Do not make it soupy though! 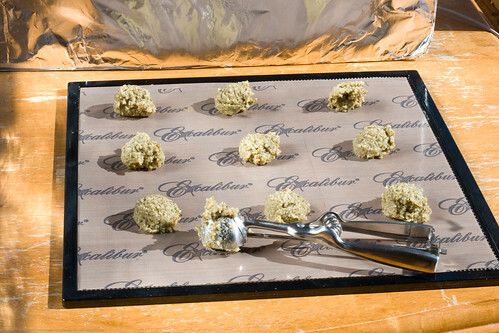 Use a small cookie dough scooper and portion out onto paraflexx sheets. 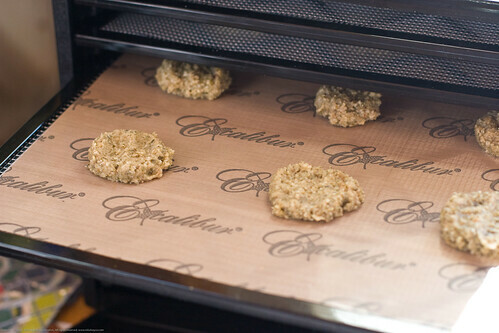 Press the cookies a bit flat, making sure all cookies are essentially the same size/thickness. 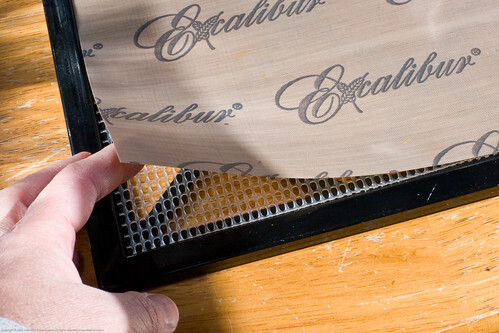 Dehydrate at 135F for 2 hours and then turn down to 115F and allow to go overnight. 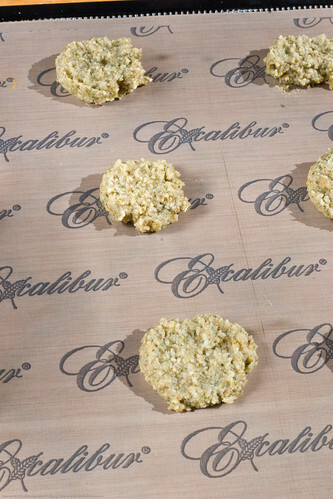 Remove after cooled and keep in cool dry place in a ziptop bag. If you try this, let me know how it goes for you! these look very nice!just a small treat for sure.i am not a raw foodist yet, but i am reading lots of books and viewing things on line to learn what i need to know.the appliances i need seem expensive for blending and drying, but i am keeping my eyes open at thrifts and for free on craigslist.best to you! These look great! My kind of food.I am not familiar enough with the term ‘raw’,but I am a strong believer in back to basic flavors and preparations close to Earth.There`s a whole lot of wholesome vital nutrition out there if we learn to go with it and not against it…Bytheway,is there any way to work with a normal oven on ‘dehydrating’ if you dont own a specific dehydrater?Thanx ,Mia. 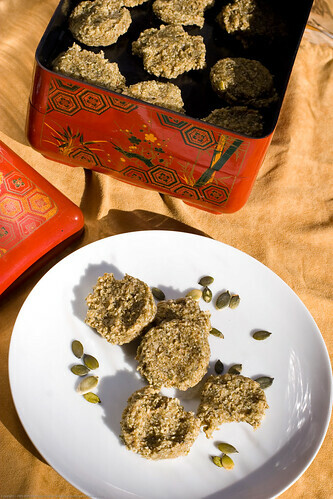 Hello,I am learning how to make raw cookie with coconut because my wife love it.Today i got your article which help me a lot.thanks a lot for this article.